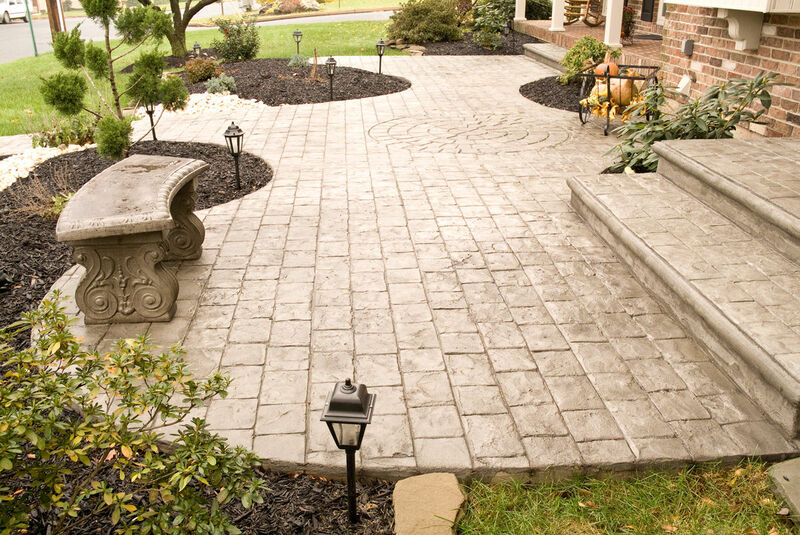 Stamped concrete is turning heads and adding to curb appeal as a great paving material for driveways, pool decks, walkways, patios and entryways, often as an alternative to brick pavers or natural stone. Many people will choose a color based on colors used on the house and within the area. Choosing a pattern can sometimes be more difficult so understanding what patterns are available and where to use them is important to the mood you want to set for your new environment. Our slate pattern is our most popular stamp. It is an interlocking pattern that gives your project a rough-hewn yet formal look. The surface texture resembles natural, Northeastern slate. Edges are straight. Corners are square. 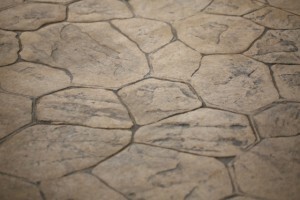 Our larger slate pattern works great for larger patios and walkways, pool surrounds, and entrance ways. 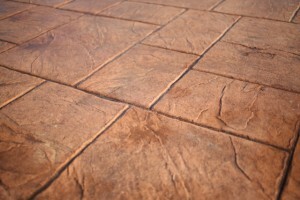 Use our smaller slate pattern for smaller patios, driveways and walkways. It is one of the most popular patterns for patio design and never disappoints. Our seamless pattern is our most used stamp. This irregular-shaped, seamless tool is used for imprinting texture over large or small sections of concrete, or concrete that may later be saw-cut. 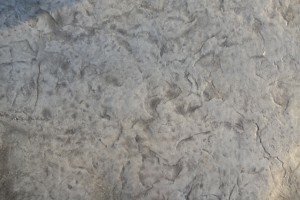 This seamless texture resembles that of natural, fractured slate and works great on any flat, decorative concrete surface. 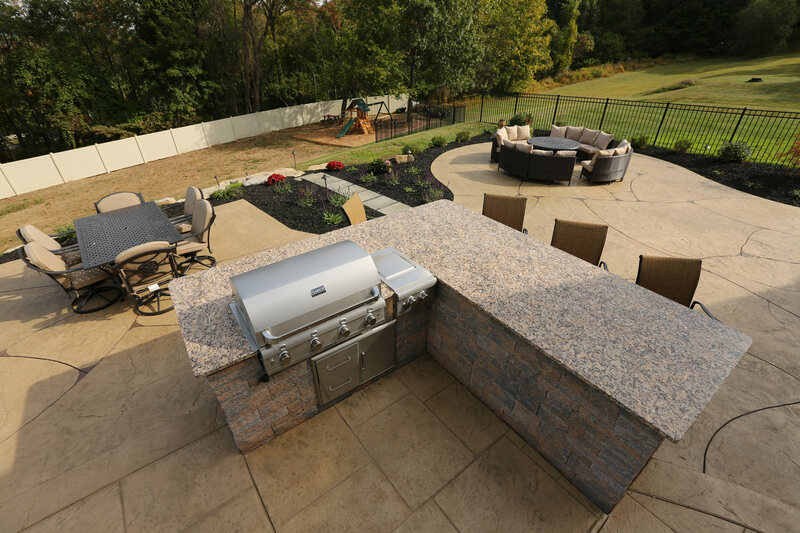 Our random stone is an ideal choice when the design intent calls for an asymmetrical, free-flowing appearance. The surface texture is that of natural, weathered stone. Edges are irregular and worn. This pattern looks great around pools and walkways, and for patios in an area that is lacking interest.